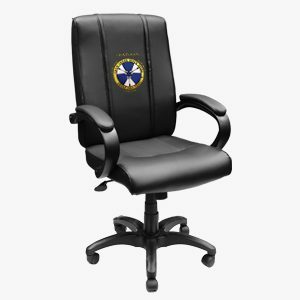 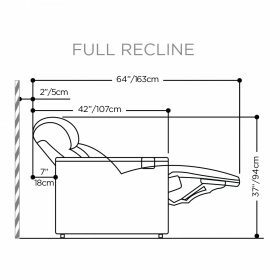 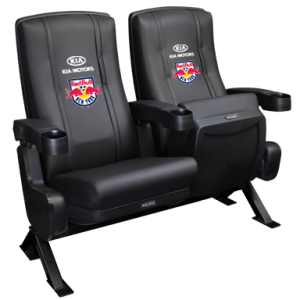 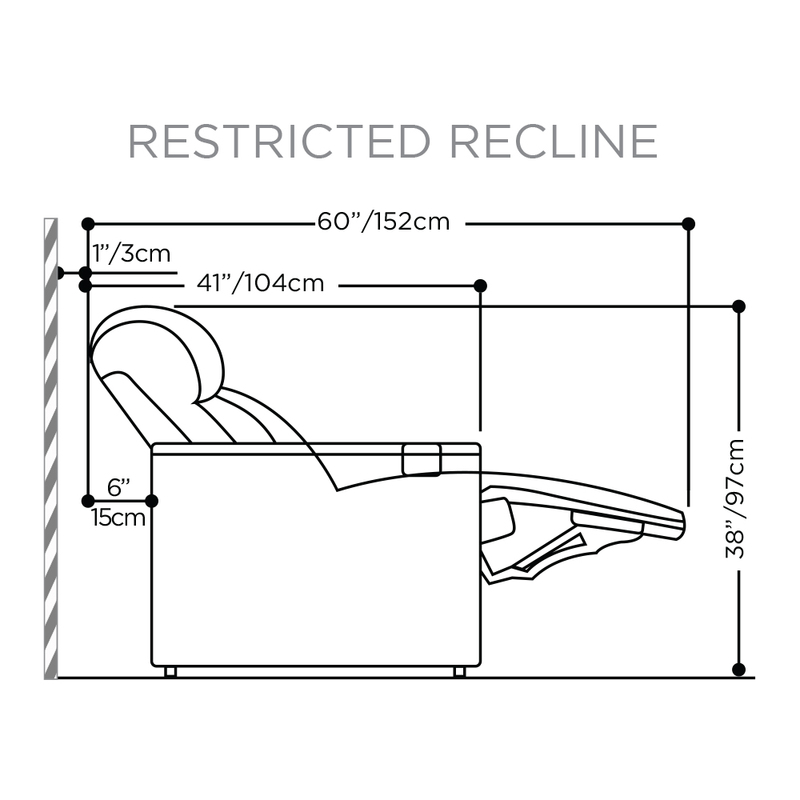 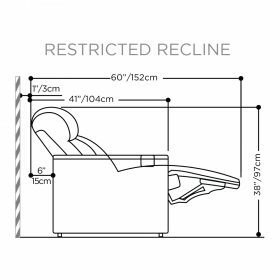 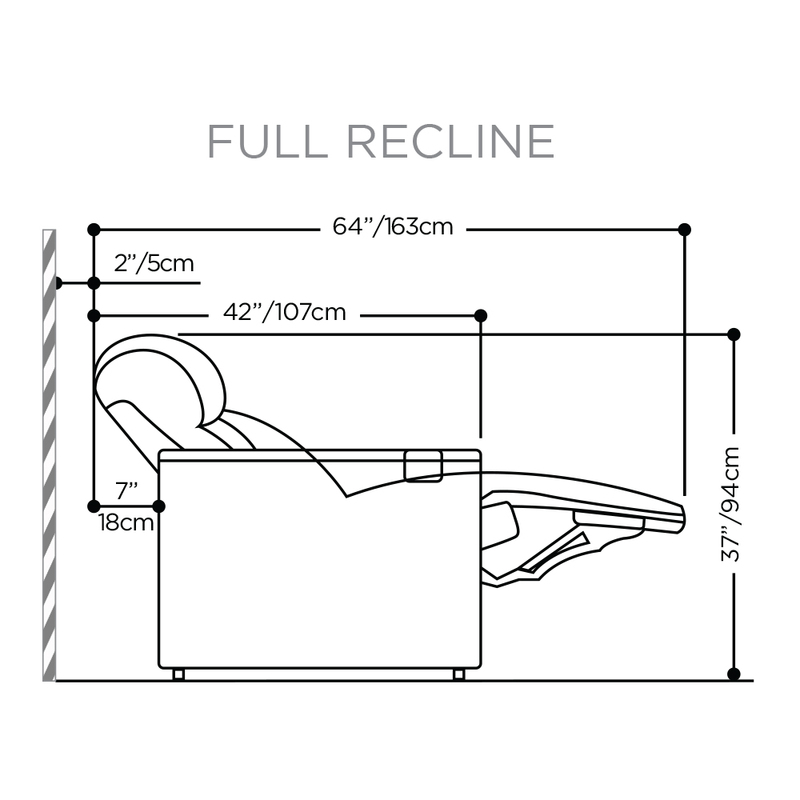 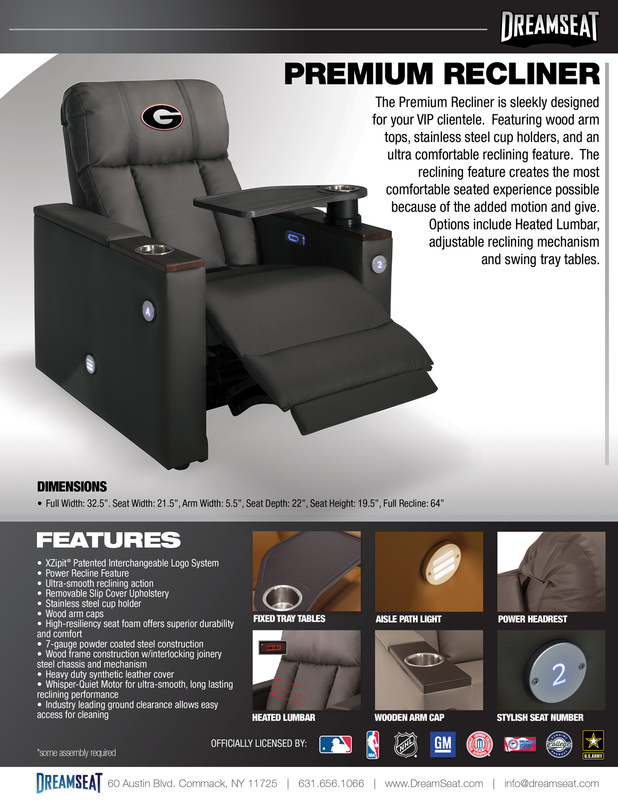 The Premium Recliner is sleekly designed for your VIP clientele. 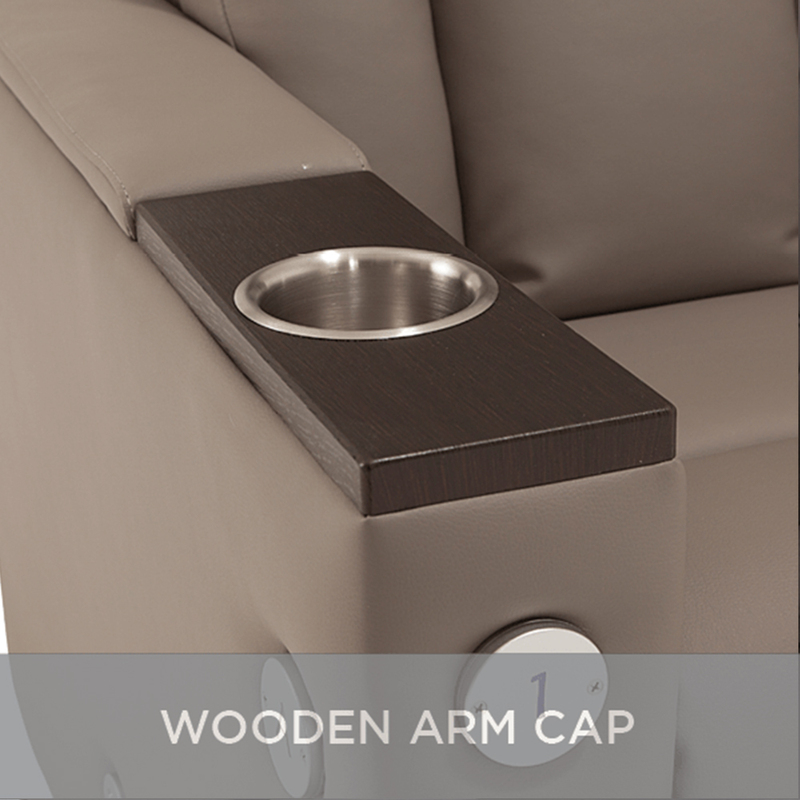 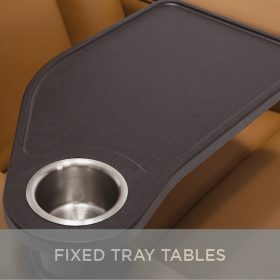 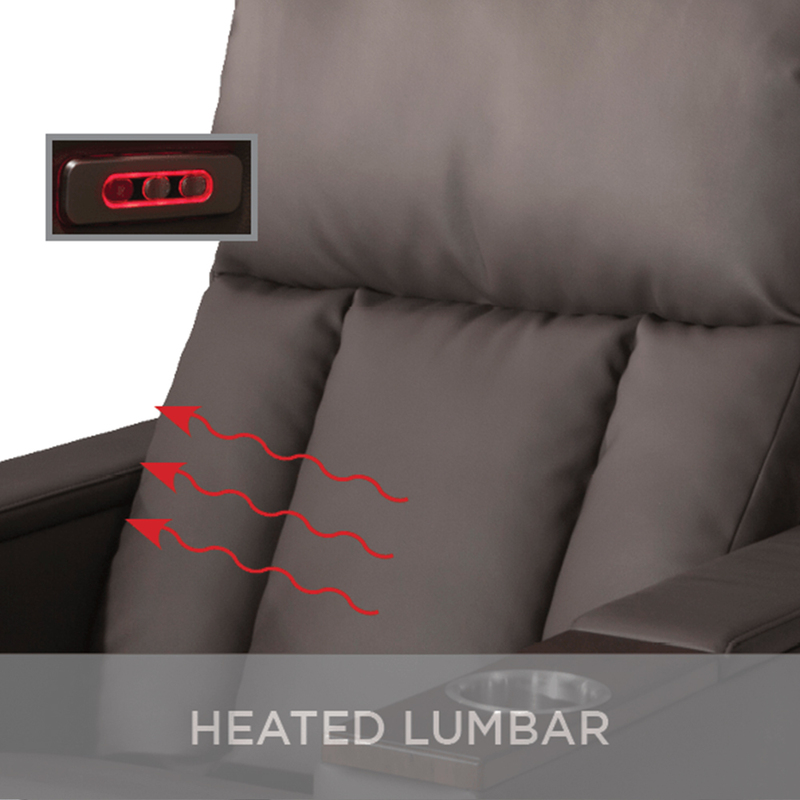 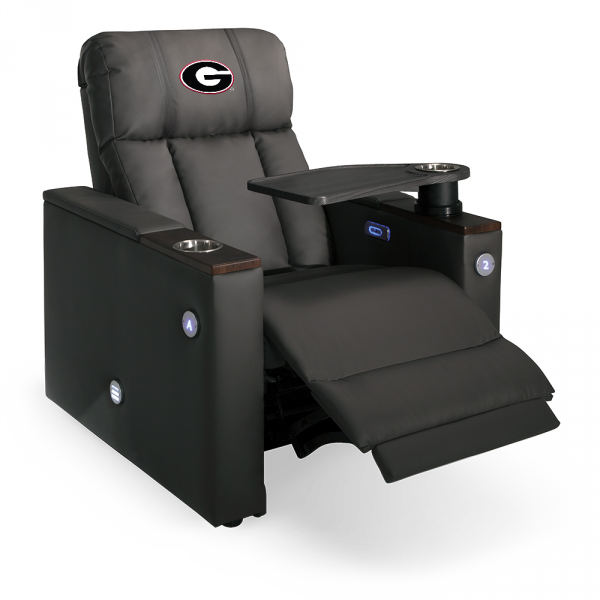 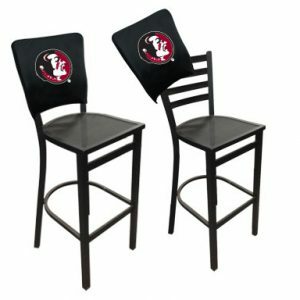 Featuring wood arm tops, stainless steel cup holders, and an ultra comfortable reclining feature. 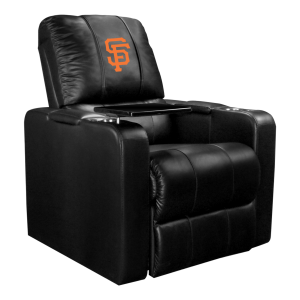 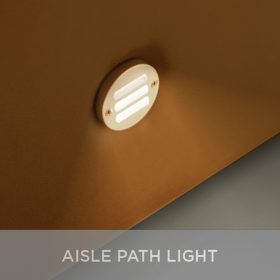 Equipped with the patented XZipit interchangeable logo system for endless branding opportunities. 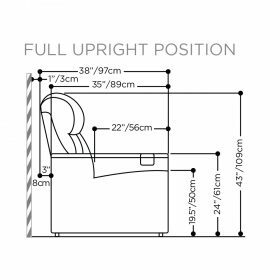 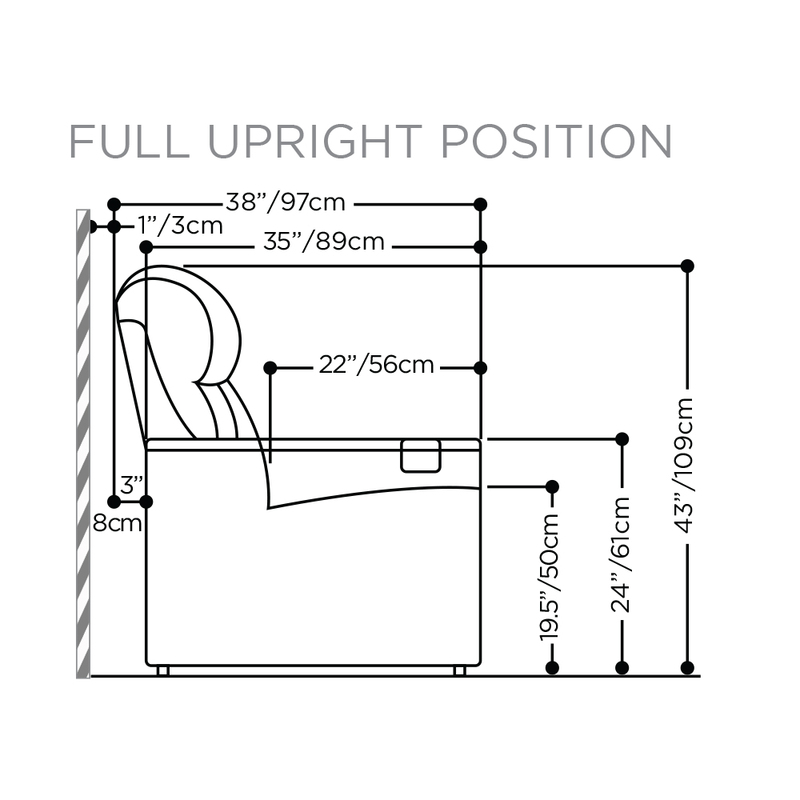 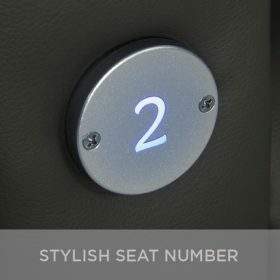 Options include Heated Lumbar, USB, and swing tray tables.